James Brokenshire, the Secretary of State for Northern Ireland, has extended the deadline for talks between the two largest parties in the province - the Democratic Unionist Party (DUP) and Sinn Fein - in the hope that they will agree over the weekend how to share power. He will make a statement to the House of Commons about the future of negotiations on Monday. Mr Brokenshire has three options: to transfer the powers from Northern Ireland to the UK government in Westminster, call the third Northern Irish election in 14 months, or extend talks into the summer until the parties compromise over thorny issues such as the Irish language act. The first option, to return Northern Ireland to direct rule, is one of the most contentious. Because of its history, Northern Ireland has a special type of government called power-sharing. Political parties representing different sections of the community have to share power, in a mandatory coalition, on matters such as housing, policing, prisons and transport. 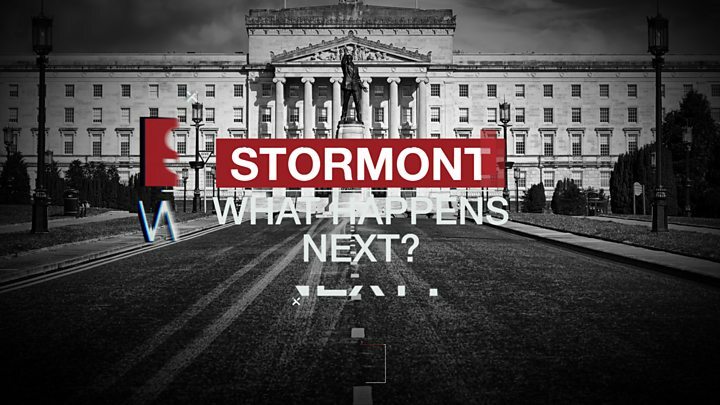 If they can't agree, the Northern Ireland Assembly is suspended and UK government intervenes. Direct rule is the mechanism for taking over the functions and powers of the government of Northern Ireland - the Northern Ireland Executive - and giving them to London. Laws affecting Northern Ireland would be passed through the government department run by ministers in London, and the Privy Council. Direct rule is viewed with suspicion by many in the nationalist community because it takes power out of local hands. How is direct rule implemented? In the past, direct rule could be implemented by the government easily, just by triggering section one of the 1998 Northern Ireland Act. However, since the 2006 signing of the St Andrews Agreement, which devolved further powers to the Northern Ireland Executive, direct rule can only be implemented if the UK government passes a law through the UK Parliament. Media captionWhat are the options if no deal is reached? When was the last time direct rule was used? Direct rule was last used between 2002 and 2006 when Tony Blair was the British prime minister. After five years of talks, eventually the DUP and Sinn Fein were able to form a power-sharing deal in May 2007. Northern Ireland has been ruled directly from London in 32 of the 44 years since 1973. Could this be a different form of direct rule? 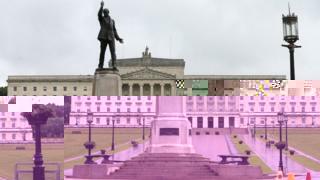 There is some speculation, particularly from parties like the Irish nationalist Social Democratic and Labour Party (SDLP), the third biggest party after the last election, that there could be a different form of direct rule from the one previously used to rule Northern Ireland. In the St Andrews agreement, the UK government agreed not to implement direct rule without passing a law in the UK Parliament. So to keep the nationalist parties on board there is speculation this will be "limited" direct rule, where civil servants take over responsibility for the day-to-day running while the UK government only passes legislation for important bills, such as the budget for Northern Ireland. Many republicans in Northern Ireland are pushing for more input from the Irish government, so called "green direct rule". However, recently the government ruled out any kind of joint authority. Reality Check: Does Northern Ireland get more public cash than rest of UK?